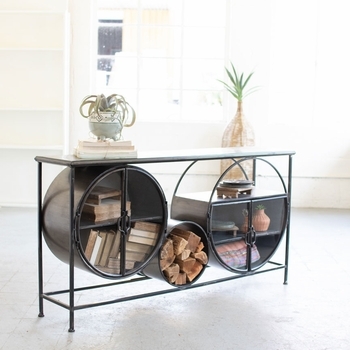 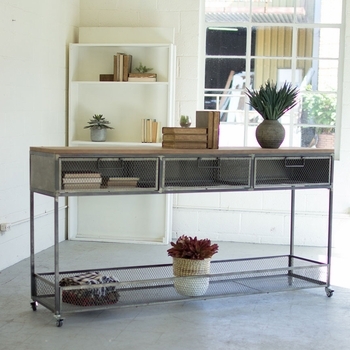 This simple yet rugged iron console table is from the Stone County Ironworks, hand-forged Ranch collection. 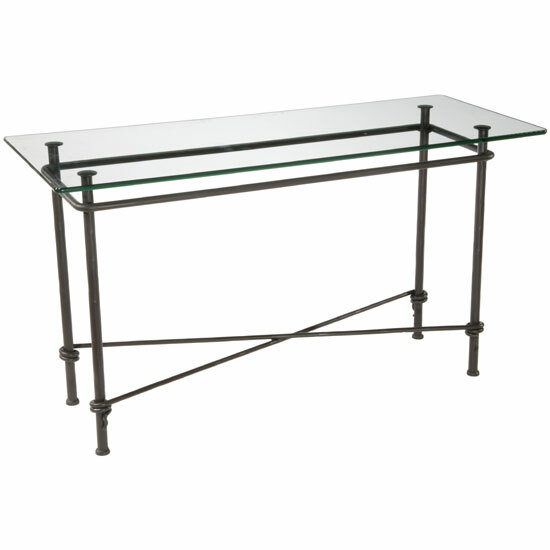 Dimensions: (Base) 44"w x 14"d x 27"h (Top) 50" x 20"
Contains: Pencil edge glass table top included. Other table top options available for an upgrade in price.